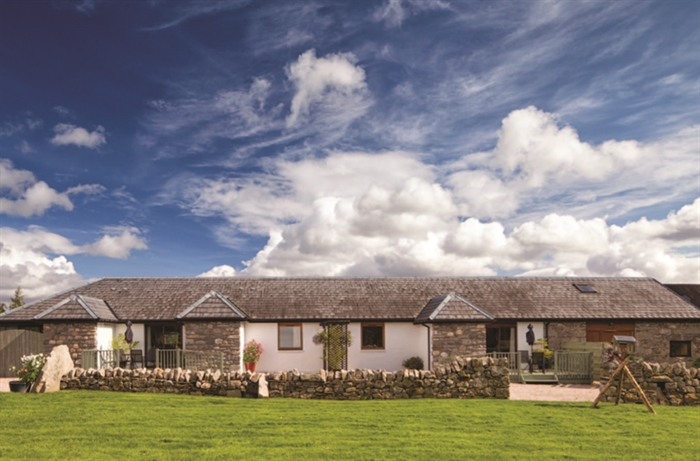 2 Luxury self-catering cottages (each sleeping 4) in the Cairngorms national park within walking distance of Kingussie. Adjacent to Ruthven Barracks and RSPB Insh Marshes. Fabulous mountain views. Free Wifi. Private parking. Use of bikes. 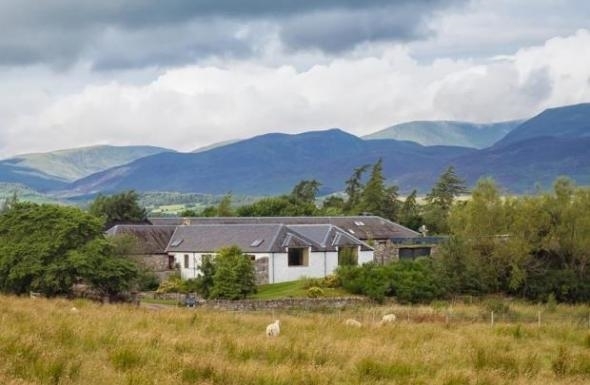 Less than 1 mile from Kingussie in a quiet scenic area adjacent to Ruthven Barracks, overlooking RSPB Insh Marshes reserve in the Cairngorms National Park. Fabulous views and great wildlife spotting. Entrance porch leading to large open plan lounge / kitchen / dining area with high ceiling and wooden beams. Well-equipped high quality kitchen. Patio doors lead to deck with BBQ and furniture overlooking the garden. Southwest facing for sun from 10am to sunset. Price (from £375 per week) includes bed linen, towels, electricity, oil fired central heating & endless hot water. Use of laundry room and large table tennis room. Free use of 2 traditional bikes with helmets.